In this fast-paced world, it’s important to have a recipe up your sleeve that is both healthy and delicious. Me, I’m just lazy, but fast food doesn’t do it for me. I’m picky. The recipe I’m sharing with you, today, took me 20 minutes TOPS. You will love it, your kids will love it, and you will find that this recipe ends up on your menu more often than you’d think. I love hearing from all of you, so if you make any of my recipes let me know what you think! Cut off both ends of the zucchini and cut the entire thing into quarter inch slivers. 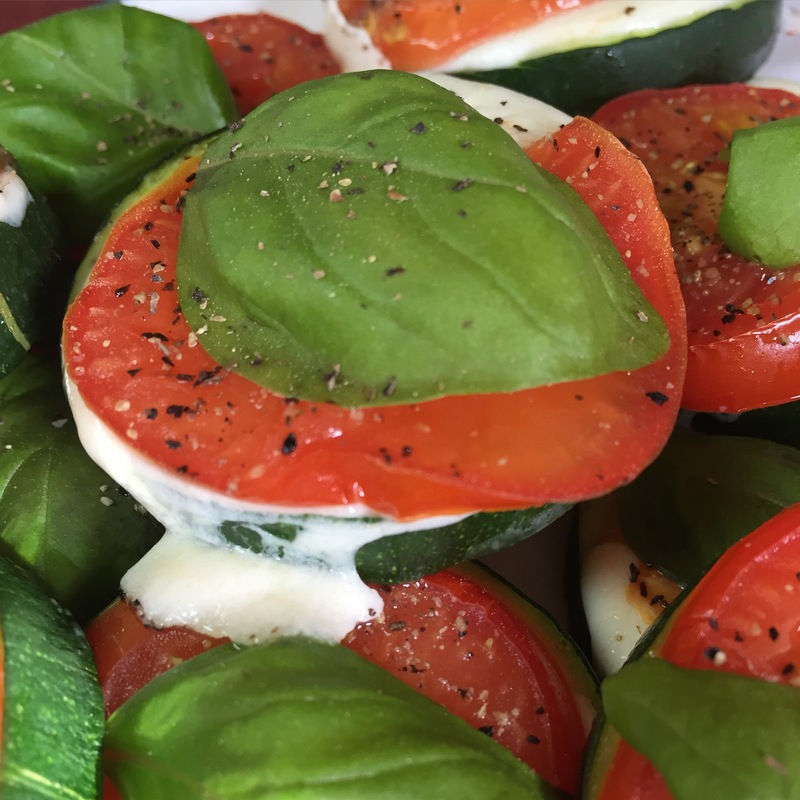 Grab a baking sheet and spread a little bit of olive oil across the sheet, then place your pieces of zucchini on top. Cut slivers of tomatoes and place them on top the mozzarella. Put them in the oven for no less than 10 minutes, or until the cheese melts. Take them out (with oven mitts) and place your pieces of basil on top. Zucchinis have multiple benefits for the skin. They are high in water content, meaning they are great for hydrating your skin. Again, winter is coming, so you want to keep your skin as hydrated as possible! They also contain vitamins A and C (is anyone noticing a trend with vitamins?). The antioxidants will help prevent against those pesky free radicals, aka the ones responsible for fine lines wrinkles, age spots, etc. You will also receive benefits from the, surprise, surprise, vitamin A and C in tomatoes! “15 Amazing Benefits and Uses Of Zucchini For Skin, Hair and Health.” STYLECRAZE. N.p., n.d. Web. 29 Oct. 2015. “32 Amazing Benefits And Uses Of Tomatoes For Skin, Hair And Health.” STYLECRAZE. N.p., n.d. Web. 29 Oct. 2015. Next Is Fenugreek the Secret to Getting Rid of Acne?